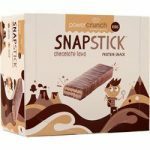 Deal Categories: Protein and Energy bars and Vitamin Shoppe Coupons.Stores: Vitamin shoppe. 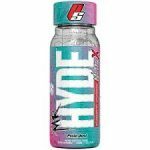 You can grab Mr Hyde – Pixie Dust (12 Drinks) for $8.74 at Vitamin shoppe. 20% OFF. The price on the B-Nox Andro Rush (35 serv) drop from $27.99 to $20.99, with coupon code DPS10 during checkout at DPS.